Maldives Islands Holiday Packages. Visit JA Manafaru for a 5 star Maldives Island experience, add on a 1 or 2 night stay in Dubai to add to your Maldives Island Holiday. Experience the most unbelievable house reef at Chaaya Reef Eelaidhoo for the best snorkeling. 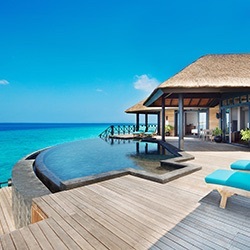 Whatever your Maldives Island holiday package needs we will be able to assist you. 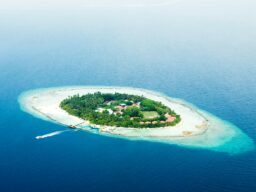 Diamonds Atharuga - Maldives 7 night stay on All Inclusive including seaplane transfers. R38475.00 per person from 1/5/2016 Beautiful island with a fabulous house reef and superb service. Please contact us for great rates. 10 nights superior room, all inclusive @ $2,200 including seaplane transfer! The most unbelievable house reef that will keep you snorkeling for hours. Valid from 1 April 2016 *Does not include international flights. Contact Love Africa Travel for rates for atharuga Beautiful 5 star island, beach villa for 2 with an outstanding house reef. 7 night stay (all-inclusive) with a return seaplane transfer from Male. Rate is per room per night. * Does not include international flights.